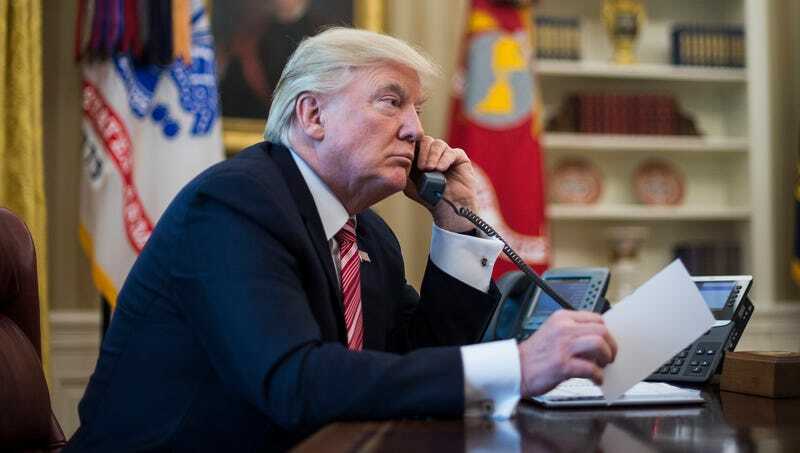 WASHINGTON—Fumbling over his words before meandering into an anecdote about his newest golf course, sources confirmed Thursday that President Donald Trump asked the mother of a fallen soldier to remind him what they were talking about 15 seconds into their phone conversation. “So, uh, wait—what was I just saying?” the commander-in-chief reportedly said moments after offering his condolences to the woman before quickly placing the phone receiver on the Resolute Desk and asking a nearby advisor to remind him who he was calling. “Oh yeah, your son? He did military stuff, right?” At press time, sources confirmed Trump was quickly wrapping up the conversation by telling the woman on the other end of the line that he was counting on her vote for his tax reform plan.